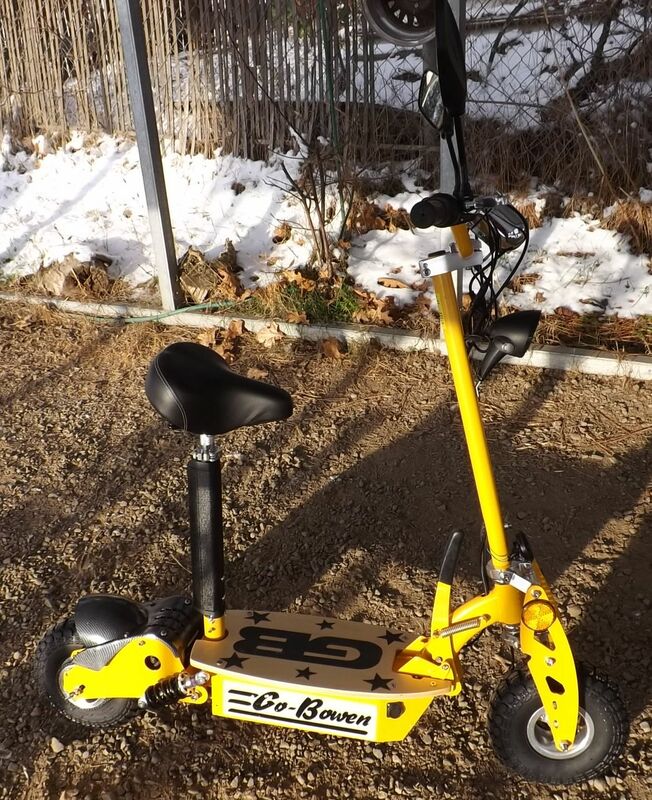 In stock, or upon order, we can get a variety of different electric powered units! Skateboard scooters, dirt bikes, ATVs, E-Bikes and electric mopeds! 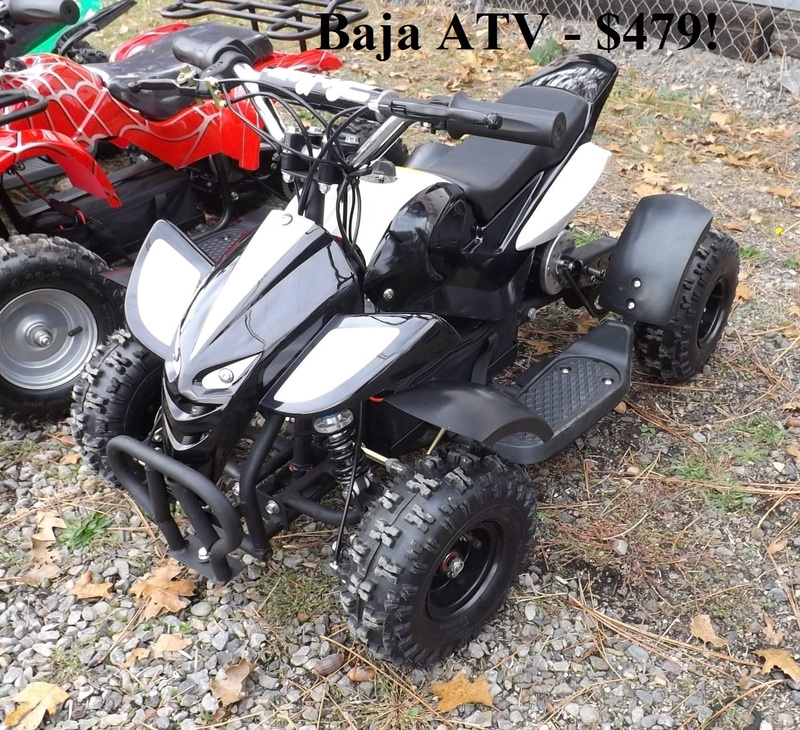 Go-Bowen Electric ATVs available by order - 350 Watt $499! 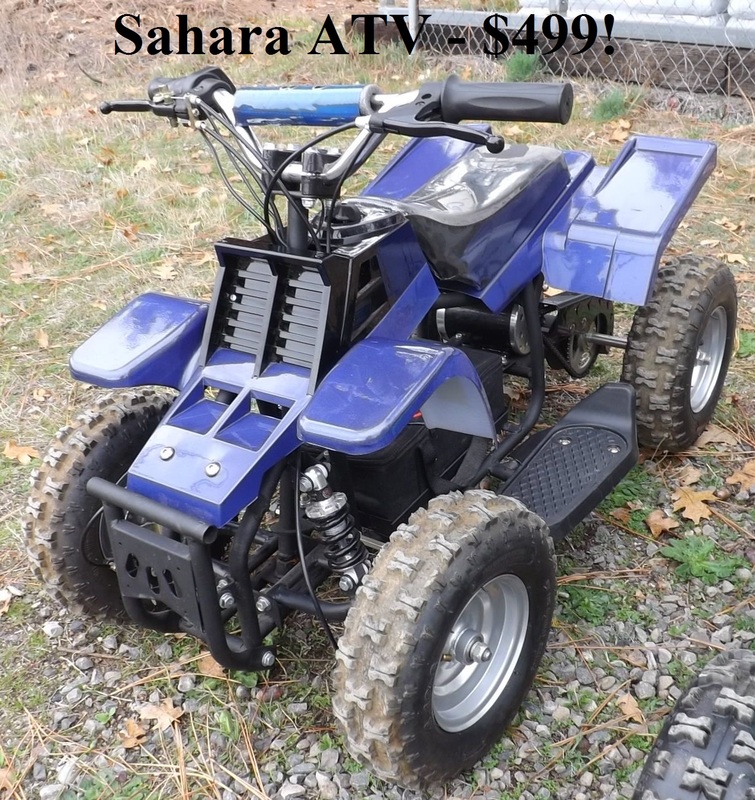 We have 4 different styles of electric Mini-ATVs on special! 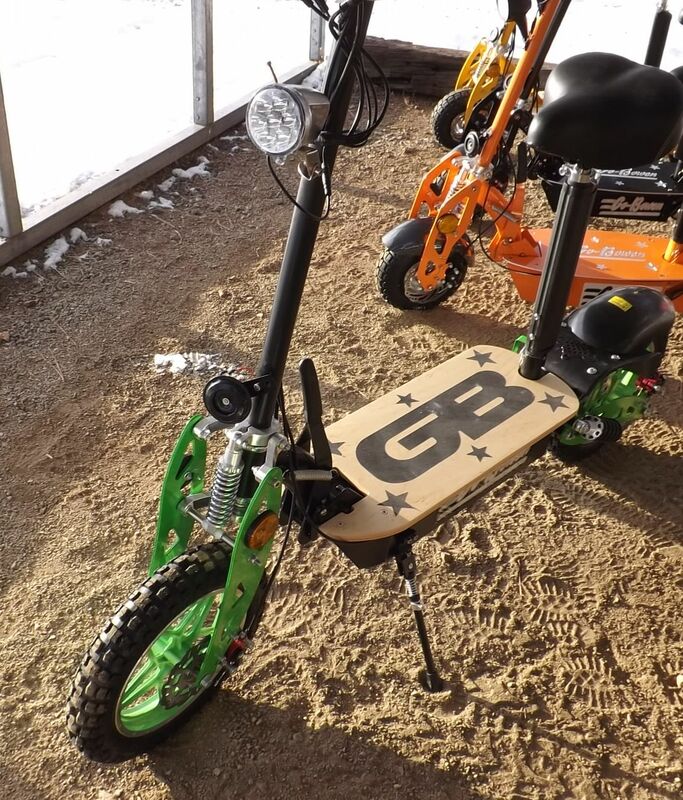 Equipped with 500 watt electric motors and a 36 volt charging system these will offer great fun and low operating cost! 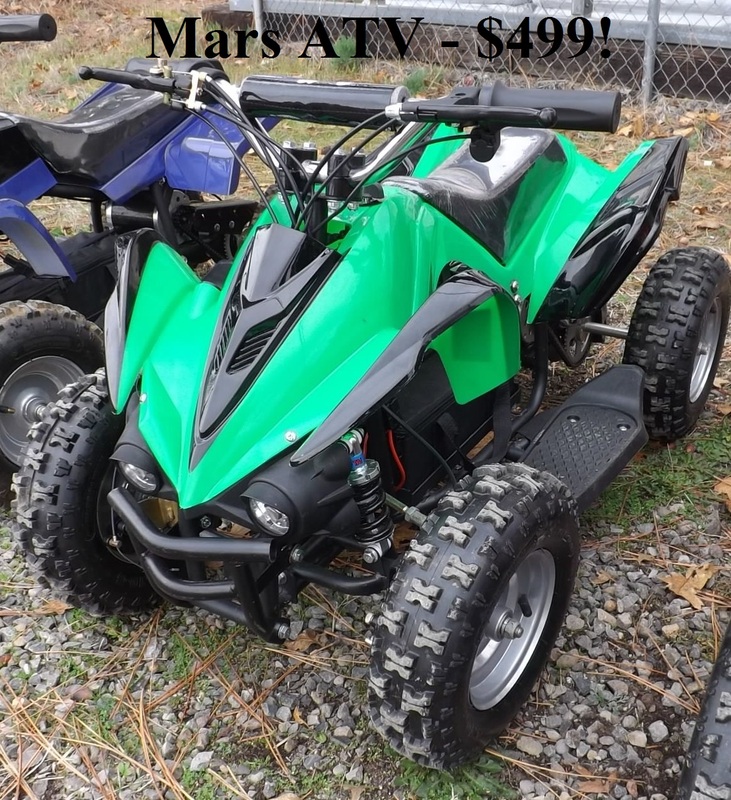 These are a real ATV and far superior to the department store power wheels style plastic bikes. The ones you can pick up for under $200 are only a 6 Volt system and are all plastic, with plastic wheels and tires! 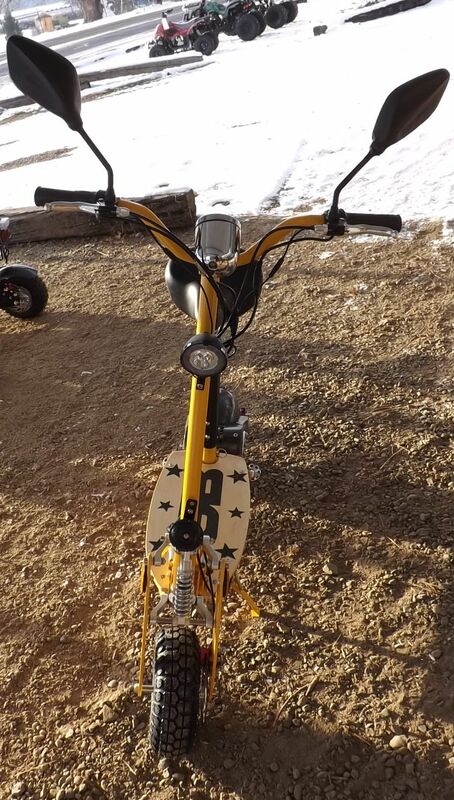 These have real shocks and front/rear disc brakes. 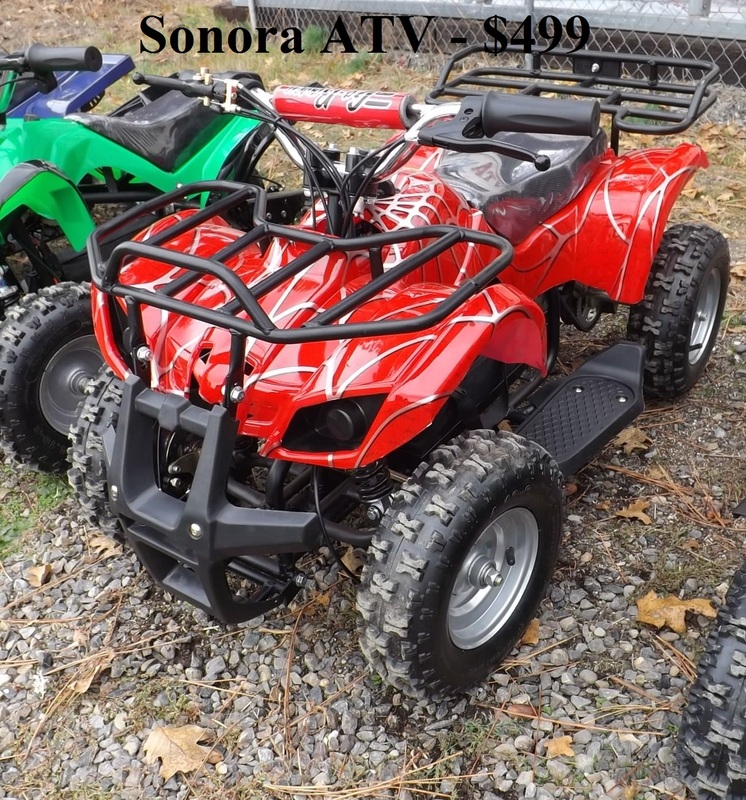 These little ATVs are the size of the 49cc 2 stroke 'Mini-Quads' we have stocked before. Specs are below, and highlighted by a 6 month warranty! 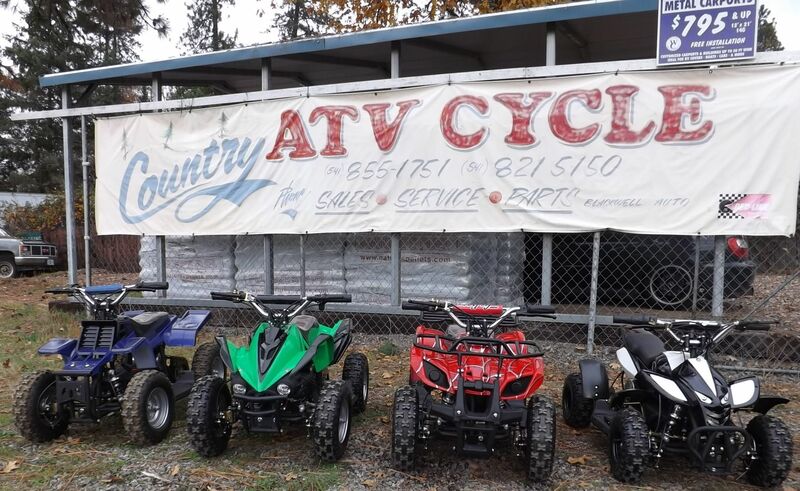 Check out this video displaying the ATVs in action! ​These meet Oregon's electric scooter requirements. Check out the guide! ​​These electric skateboard style scooters come fully loaded and are a very affordable mode of transportation! The Performance model is equipped with a front and 2 rear shocks, front and rear disc brakes, mirrors, horn and a LED headlight! These also have a quick release seat/post and fold-able steering stem for easy transport. 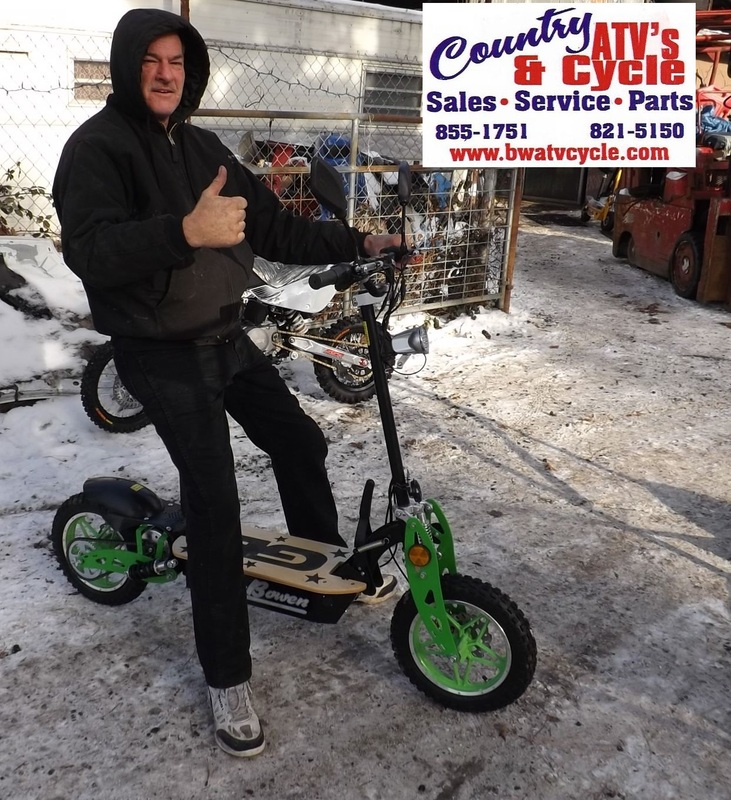 This one is upgraded and much larger than the Cruiser and Commuter models, and features nice 10" painted wheels and a higher top speed! 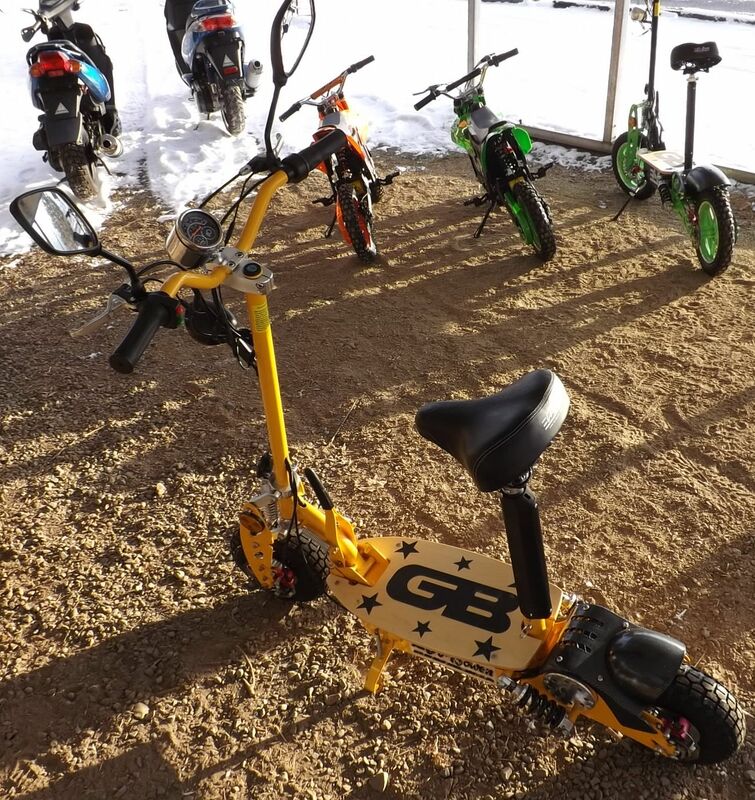 These scooters carry a 6 months warranty on the battery and motor and 90 days other parts. These electric skateboard style scooters come fully loaded and are a very affordable mode of transportation! 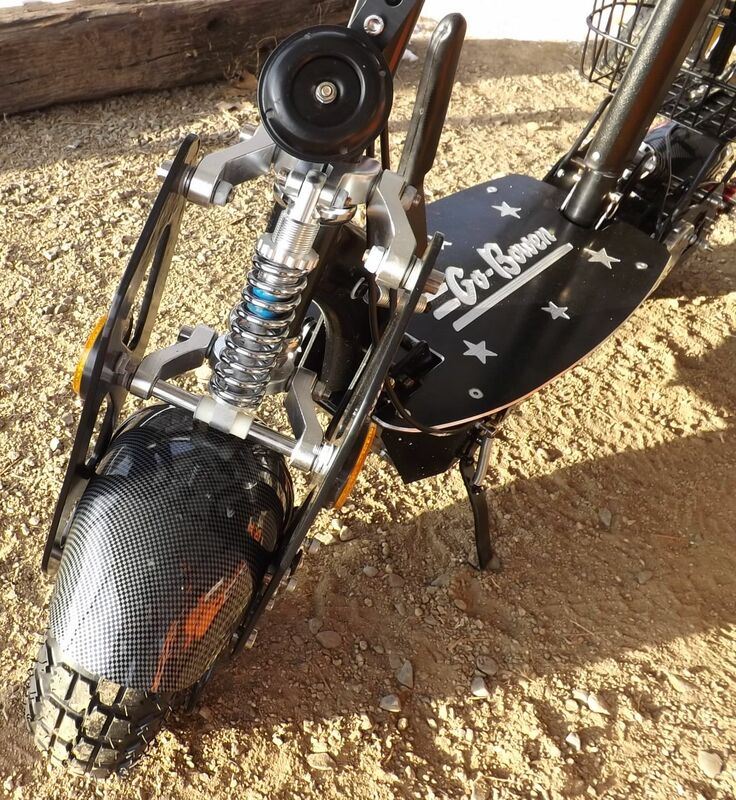 The Cruiser model comes with a basket for storage, a front and rear shock, front and rear disc brakes, a speedometer, mirrors, horn, headlight, and carbon fiber look front & rear fenders! These also have a quick release seat/post and fold-able steering stem for easy transport. 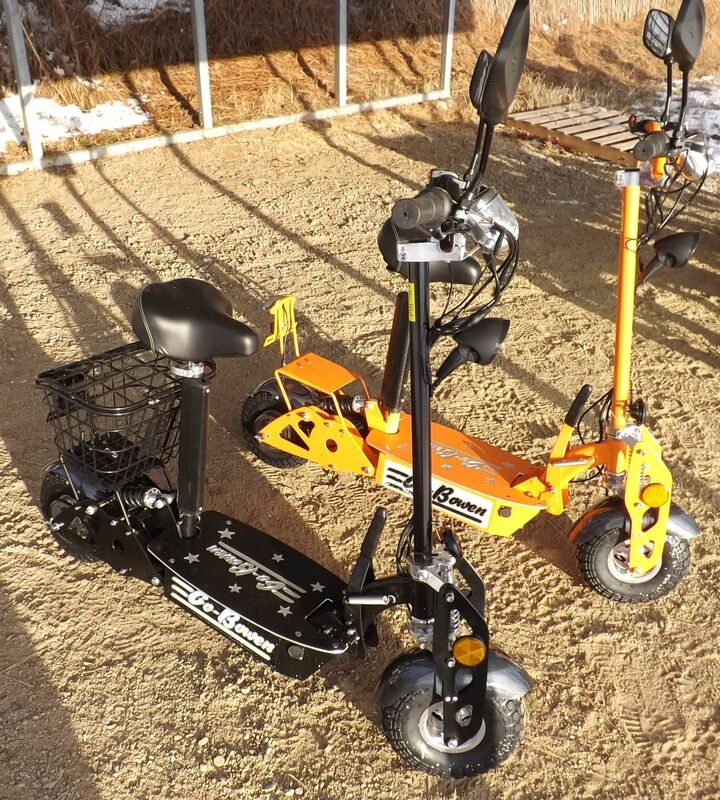 These scooters carry a 6 months warranty on the battery and motor and 90 days other parts. ​​​​​​​​These electric skateboard style scooters come fully loaded and are a very affordable mode of transportation! 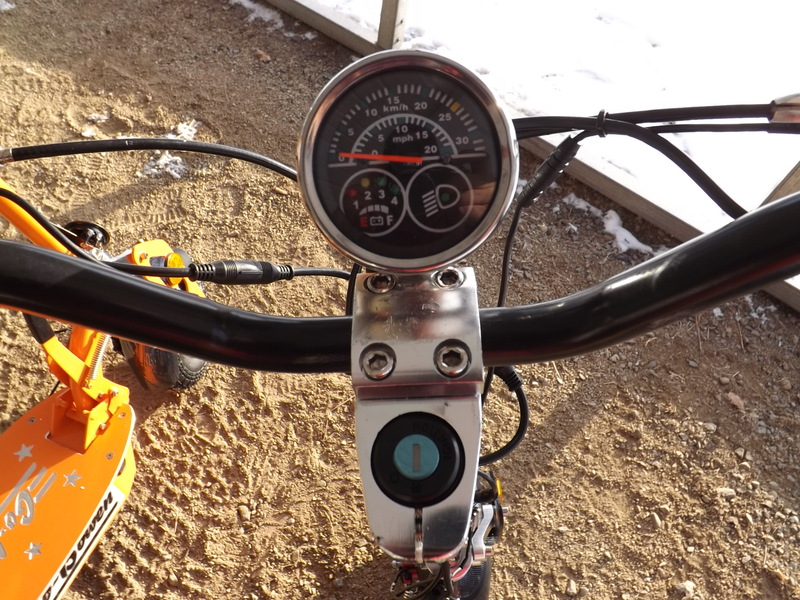 The Commuter model is equipped with a front and 2 rear shocks, front and rear disc brakes, a speedometer, mirrors, horn and a headlight! ! These also have a quick release seat/post and fold-able steering stem for easy transport. 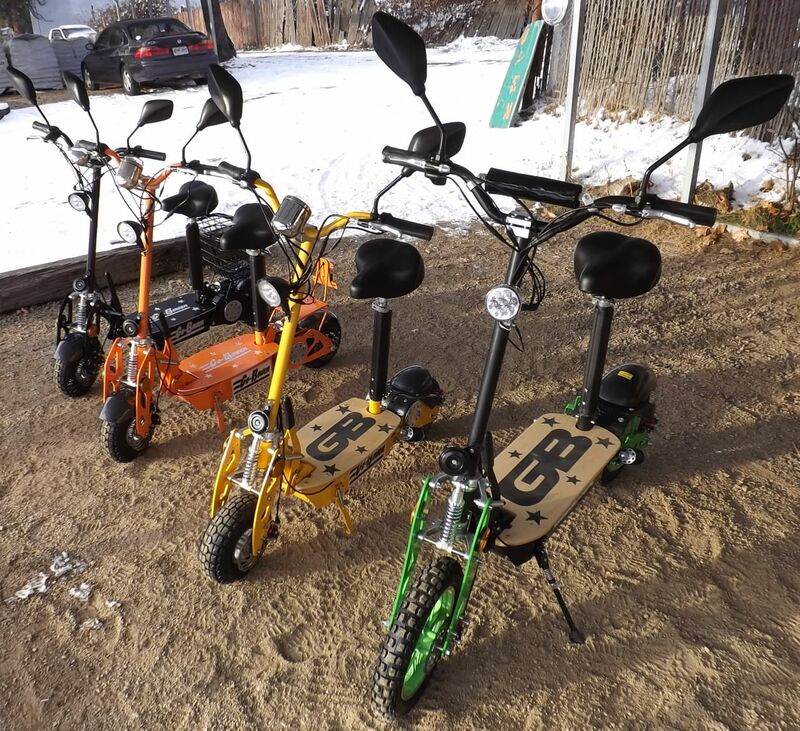 These scooters carry a 6 months warranty on the battery and motor and 90 days other parts.